New six panel hat with Ground Control's Sickle logo embroidered on the front. 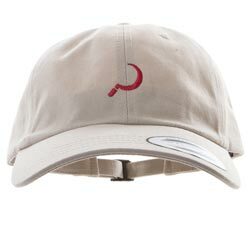 Embroidered on a "The Classics" brand hat, 100% cotton, made in Vietnam. Rear adjustable strap with metal doohickey for superb fitment.